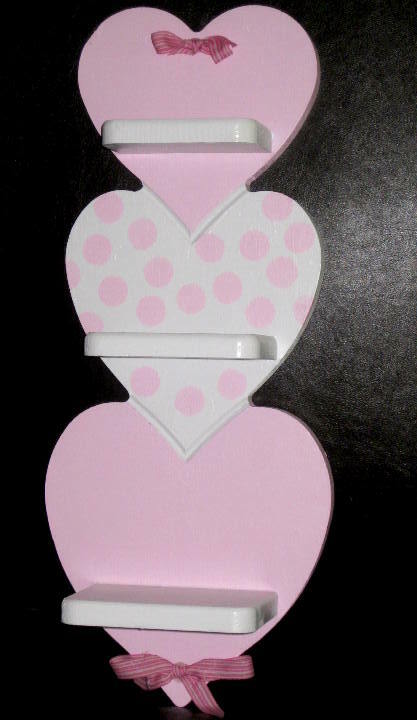 I saw these out-of date heart shelves all the time while garage saling and just kept walking. Then.... I got a few brainstorms for how to update them for a girl's room. I just don't know who's "girly room" to put them in! So for now, they are stashed away out in my barn, waiting for a home.